Marks 5 Dimensions 20 in. x 9 1/2 in. 3 1/2 in. The Max-D 6000 is a great soaker. It appears to be a hyped up version of the XP 310. The colors of the Max-D 6000 are not the best, but they are better than most. The pressure gauge serves no use, as it fogs up quickly. The range of this weapon is not really maximum distance, but it has a few feet of an advantage. 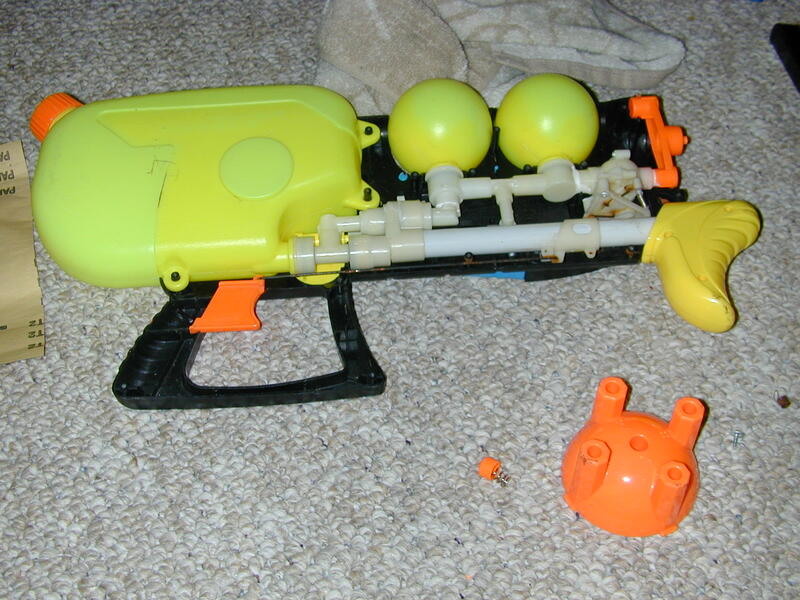 This weapon is fairly sturdy, but the pump feels weak. The Max-D 6000 has an XP nozzle selection, identifyable by bumps: 1 bump being the lowest setting and 4 bumps being the highest. Pumping is very easy, so pressurizing this soaker is no problem. A Max-D 6000 would be a great addition to any water warriors arsenal.